, Mariner Culpepper Family Bible: Abstracted by Warren Culpepper from photocopies of bible pages in the files of Culpepper Connections, Original source and current owner unknown, owner. Mariner Culpepper, 2 M0-5, 1 M5-10, 1 M20-30, 1 M30-40, 1 F5-10, 1 F20-30, 1 F30-40, 1 F70-80. Obituary of Mariner Culpepper (#4882), published 27 Aug 1838. Monroe County Court of the Ordinary Annual Returns, Book D, 1836-1840. Monroe Culpepper, 12, M, GA.
Cassandra Culpepper, 22, F, GA.
Slave Schedule: M. J. Culpepper of Brooks Co. owned 24 slaves: 50M, 45F, 32M, 30M, 30M, 28F, 24F, 24M, 22F, 14M, 14M, 13F, 11F, 11F, 9M, 9F, 5F, 4F, 4F, 3F, 3F, 3M, 2M, 1M. Roster of Confederate Graves, Atlanta, GA: United Daughters of the Confederacy, Georgia Division, circa 1995.
p.1-68: "Mariner Jackson Culpepper, Capt., Co. C, 26th, May 1832 - 15 Aug 1872." Cassandra Culpepper, 30, F, GA. Biography* � Lucinda (who apparently later changed her middle name to 'Clara') moved with her husband first to Louisiana and later to Arkansas, after the Civil War. Lucinda died 22 July 1896 at Brooken, OK. John W. died 18 Dec. 1887. They moved to Lousiana before the Civil War. John was a Doctor in the Civil War after which they moved to Blackford, Arkansas. I don't know when they moved to Oklahoma, but my grandmother was born in Waldron, Arkansas in 1872. J W and Lucinda married in Houston Co., Georgia in 1846. About 1855-60 they went to Louisiana, stayed 10 years and then went to Lamar Co., Texas. The next time I find them is in Scott Co., Arkansas. Then he died in 1887 and is buried in Short Mt. Cemetery, Leflore Co., Oklahoma. She died in1896 and is buried in Cowlington Cemetery at Cowlington, Oklahoma. She has a stone but his grave is lost. Lucinda and John had eleven children: Eugenia Fannie Walker, John Marion Walker, Anna Elizabeth Walker, Emma Lucinda Walker, Sarah Jane Lula Walker, Edward Monroe Walker, William Jackson Walker, Robert Lee Walker, Joseph Price Walker, Lilla Mae Walker, and Leana Walker. E-mail written 1999 to Lew Griffin from Marilyn Smith, Blanca, CO.
E-mail written 2000-2001 to Lew Griffin from Clyde Walker, e-mail address. Lucinda C. Culpeper and John W. Walker on 1 Dec 1846 in Houston Co., GA.
Olla DELPHINE Other F S B 16 LA Occ: House Servant Fa: SC Mo: SC. Fanny E. Culpepper and S. S. Mims on 02 Mar 1854 in Houston Co., GA. It is my own belief that if Jordan and his son used aliases in the 1870 census, it might have been to avoid being sent to the Oklahoma Indian Reservation, or possibly they did something during the War, that created the need to avoid detection. Anyway, I hope you will find the census data, at least, interesting. Great grandson of Ella Lillie Ora JACKSON. * The "S" in H. S. above looks like an "L" to me, BUT, in at least two instances the enumerator wrote the "S" in the abbreviation for the state "SC" in exactly the same way, ALTHOUGH the enumerator's "S's" did usually look like "S's". Since this "H.S. Jackson appears to the the Henrietta S. Jackson in the 1850 census, I decided to show "H.S." in this 1860 census transcription, noting here that it might be "H.L.". - Buried: Lumpkin Cemetery, Stewart County, Georgia - North Side (Methodist) as, "Jordan T. Jackson, Apr. 11, 1814; May 1, 1898; a Mason"
E-mail written 2004-2005 to Warren Culpepper & Lew Griffin from Steven Earl Newberry, e-mail address. Amanda C. Culpepper and Gordon T. Jackson on 9 Nov 1837 in Monroe Co., GA.
Drewey M. Jackson, 19, M, GA.
Jourdin T. Jackson, 5/12, M, GA.
Abstracted by Lewis W. Griffin, Monroe Co., GA Deeds, 1822-1868, Books A-P, Salt Lake City, UT: Monroe County Superior Court, Published on Microfilm by the Genealogical Society of Utah, 1966, Repository: LDS Family History Library - Salt Lake City, Call No. Films 164,136 - 164,143. Jane G. Culpepper, 70, F, GA.
1840 Census* 1 Jun 1840� Joel was listed as the head of a family on the 1840 Census on 1 Jun 1840 at Harris Co., Georgia. Biography* � Joel Culpepper gave the land for Bethany Baptist Church which was organized 8 Sep 1828. (This land is in Harris Co., GA, near Chipley, which is now known as Pine Mountain, GA, the community where Callaway Gardens is located) The site measured 30 rods by 40 rods or seven and one-half acres. (Louise Calhoun Barfield, "History of Harris Co., GA, 1827-1961, pp 411-412). Since the Culpeppers have not been added to the Newman surname project, I thought that I would make up this little chart showing the differences. The only perfect 37-marker match is between Richard William Newman (descendant of Walter Jr. (1696)) and Jimmy Charles Culpepper (presumably a descendant of Samuel Newman (1715)). It looks like either R W Newman or J J Newman carries the original values of the markers. They differ on only the 32nd marker and because of the existence of close cousins in the various lines, it's not possible to tell whether 18 or 19 was the original value. I have upgraded the testing for R W to 67 markers and Beverly Culpepper has upgraded the testing for her brother George William to 67 markers. Since J J and C E match on all of their markers above 37, with 2 others testing at that level, it should be pretty clear what those markers are supposed to be, meaning that others should not have to test at that level. Last night I did a little background on the Newmans and the Culpeppers of Georgia. The Newman family in question must be that of Samuel Newman and Eve Castleberry of Warren Co., GA. The Culpeppers in question were also from that county, although several of them migrated to Jones county before 1820. The genetic break occurs between Bev's great-great-grandfather (Joel Culpepper) and the known Culpepper lines, as there is no DNA match between them. Joel Culpepper was born about 1795 or 1796 and presumably his father was a Newman, and the 4 eldest sons of Samuel & Eve Newman were all old enough. However, the only truly realistic candidate is Walter Newman, the son of Samuel & Eve, who married Argent Culpepper in 1794. Their oldest known child wasn't born until after 1800, but given the circumstances it seems likely that Joel was actually their oldest child. If this is true, it's anybody's guess why they would have given him up to be raised as a Culpepper. There were district-wide losses for all censuses before 1820 in Georgia, which is unfortunate. At the time of the 1820 census, Joel was newly married and living in Captain Buckhalter's District, Jones Co., GA. The only other Culpepper living in that district was Daniel Culpepper Jr., Argent (Culpepper) Newman's brother. Bev had thought that perhaps Joel was raised by William Culpepper Jr., the uncle of Daniel and Argent, but in 1820 William Jr. was living in Captain Rosser's District. I think that it's more likely that Joel was raised by Daniel Culpepper Jr. Comments, etc. would be appreciated. As far as I know, no Newman researcher has found a will or probate record for Walter Newman. According to Ken Newman, the only named record of his children is in the will of his daughter Sarah Newman who married Mountain Hill. I don't really know why then it is assumed that these were the only children of Walter and Argent, I didn't do that research myself. I guess I understand your thinking that Joel was raised by William Culpepper Jr. However, I have a different idea to throw out to you. In the 1820 census, unfortunately the first one to survive as I'm sure you know, Joel and Daniel Jr. were in the same district, while William Jr. was in another district in Jones Co. I don't know if this has to do with who won what land in the Georgia land lottery, but if I didn't know about that, I would have assumed a closer relationship between Joel and Daniel Jr. than between Joel and William Jr.
Also, Joel named his children James Monroe and Mariner C. Culpepper. Mariner seems to have been named after Argent's younger brother who was similar in age to Joel. The first Mariner also named a son James Monroe. To me, this would imply that Joel grew up with Mariner, i.e. that he was raised by Daniel and Sarah (which is what I actually meant in my other e-mail, because I knew that Argent's brother Daniel was too young. Daniel Sr. would probably not have thought to mention Joel separatelyin his will (even if he did raise him), because he was leaving his estate to his children, which included Argent, leaving it up to her to leave something to Joel. I don't know, that's just what I was thinking, but again it's something we'll never know. no probate records have been found for Walter Newman. County, where Daniel Sr. lived. that he was raised by someone closer to her? Perhaps her brother Daniel? Thanks for all of your help in this endeavour. until some better choice presents itself, we should list Joel that way. Both DNA and circumstantial evidence point in that direction. I can see it if Joel wasn't a Newman, but he was, wasn't he? so? That makes no sense to me unless something very bad happened. another, later, date, but I've not seen it. Have either of you? me. Again, in that instance, why even bother with the marriage? What? Again, this makes no logical sense to me. up their child to be raised by a relative. named Richard (waiting on another will abstract from a volunteer). needed to find the exact connection (assuming that is even possible). Well, that is enough for now. Any comments or queries would be welcome. E-mail written 2001 to Lew Griffin from Anne Miller Greer, Midland, GA.
which makes him old enough to have served in the War of 1812. Virgil D. White, Index to War of 1812 Pension Files. E-mail written 2008-2010 to Culpepper Connections from Kenneth L. Newman, Carrollton, GA, e-mail address. 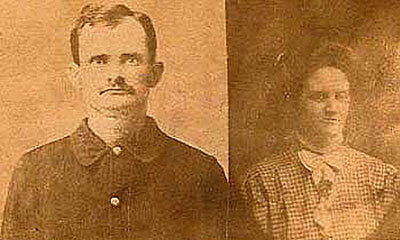 Joel Culpepper and Rebecca Hammock on 26 Aug 1819 in Jones Co., GA.
Joel Culpepper, 1M0-10, 1M26-45, 1F16-26. Abstracted by Lewis W. Griffin, Jones Co., GA Deed Records and Mortgages, 1807-1827, Salt Lake City, UT: Jones County Superior Court, Published on Microfilm by the Genealogical Society of Utah, 1966, Repository: LDS Family History Library - Salt Lake City, Call No. Films 470,012 - 470,017. 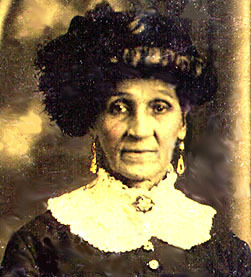 Mary J. Thompson--editor (based on records of Sandra Jeffries and Barbara Lockard), "The Culpepper Family", Harris County, Georgia and Her People, Vol. 2, No. 1, Winter 1986. James Monroe Culpepper Family, James Monroe Culpepper Family Bible, Jr. (#6979) George William Culpepper, owner, Harris Co., GA. Births: James Monroe Culpepper, 28 Jun 1823. Joel Culpepper, 1 M0-5, 1M5-10, 1 M30-40, 1 F20-30, 1 F50-60. J. Culpepper, 1 M10-15, 1 M15-20, 1 M40-50, 1 F15-20, 1 F30-40. Rebecca Culpepper, 45, M, GA.
Rebecca Culpepper, 55, F, GA.
Joel Culpepper, 36 slaves: 80M, 78F, 76M, 45M, 45F, 45F, 40M, 35F, 30M, 25M, 20F Mulatto, 20F, 20F, 20M, 20M, 18M, 18M, 18F, 18F, 18F, 16F, 12F Mulatto, 12F, 12M, 12M Mulatto, 12M Mulatto, 8M, 8M, 8M, 7M, 6F, 5M, 4F, 3M, 2M, 1F. Rebecca Culpepper, 67, F, GA.
Bethany Baptist Church Cemetery, Pine Mountain, Harris Co., GA. Joel Culpepper (No dates listed) gave 7 1/2 acres of land for Bethany Church in 1847. Deed recorded in 1874. E-mail written Jun 2009 to Lew Griffin from Sharon Fowler, e-mail address. 1840 Census 1 Jun 1840� Rebecca was probably a free white female, age 30 and under 40, in Joel Culpepper of Harris Co., GA's household, on the 1840 Census on 1 Jun 1840 at Harris Co., Georgia.  “Rebecca’s obituary reads that she came to Harris County in 1829. She lived to be almost 95 years old and was bedridden the last five years from injuries received in a fall. She was a consistent follower of Christ for 80 years after being baptized by the Sainted Joshua Calloway in 1809 at Walnut Creek Church in Jones County, Georgia.  In Barbara’s ancestry charts, also from June 1995, she lists Rebecca’s date of birth as “1805” which as you say tends to agree with census records. But if you are familiar with the Baptist religion, they believed that baptism was by immersion, and should take place “at the age of reason.” So the 1809 baptism would be consistent with the 1796 birth. But I’ll let you reach your own conclusions about all of this. LDS Film #454232: Jones Co., GA Will Book B and C to pg. 229, 1809-1857. Rebecca Culpepper, Mother, F, Wid, 78, GA/GA/GA. Obituaries Published by The Christian Index, 1880-1899, Macon, GA: Georgia Baptist Historical Society, 1975. 1840 Census 1 Jun 1840� James was probably a free white male, age 15 and under 20, in Joel Culpepper of Harris Co., GA's household, on the 1840 Census on 1 Jun 1840 at Harris Co., Georgia. Marriages: James M. Culpepper and Nancy Collins, 22 Dec 1842. James M. Culpepper and Nancy Collins on 22 Dec 1842 in Troup Co., GA. Births: William Culpepper, 14 Nov 1845. Births: John H. Culpepper, 13 Mar 1847. Martha A. R. Culpepper, 1, F, GA. Births: Early G. H. Culpepper, 16 Dec 1850. Births: Samuel Bartley Culpepper, 17 Jun 1856. E-mail written 2006 to Lew Griffin from Deborah Slaton, e-mail address (Oct 2010). Births: James Culpepper, 26 Nov 1859. Mary Overby, Obituaries Published by The Christian Index, 1822-1879, Macon, GA: Georgia Baptist Historical Society, 1975. 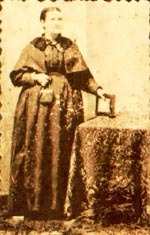 Jane H. Austin, Georgia Bible Records, . p 39, and 1860 census. Deaths: Nancy Culpepper, 21 May 1860. Jas. Culpepper, 6/12, M, GA.
James M. Culpepper and Frances DeLoach on 17 Oct 1860 in Harris Co., GA.
Marriages: James M. Culpepper and Mary F. DeLoach, 1 Nov 1860. Births: Frances Monroe Culpepper, 27 Jun 1865. Births: Columbus C. Culpepper, 17 Nov 1866. Deaths: Columbus C. Culpepper, 17 Apr 1867. Births: Absalom Culpepper, 6 Mar 1868. Births: George W. Culpepper, 29 Nov 1869. George Culpepper, 9/12, M, GA.
Find A Grave Memorial# 51384883. Births: Henry H. Culpepper, 8 Sep 1873. Births: Mercer Culpepper, 6 Jul 1876. Deaths: James M. Culpepper, 8 Jun 1894. E-mail written 1998-2007 to Culpepper Connections from Beverly Sue Culpepper (#6982), Atlanta, Georgia, e-mail address. Births: E. A. R. Culpepper, 8 Nov 1843. Births: Martha A. R. Culpepper, 8 Feb 1849. 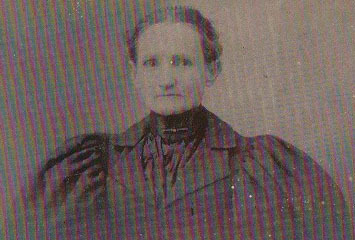 Births: Sarah Jane Culpepper, 30 Aug 1853. 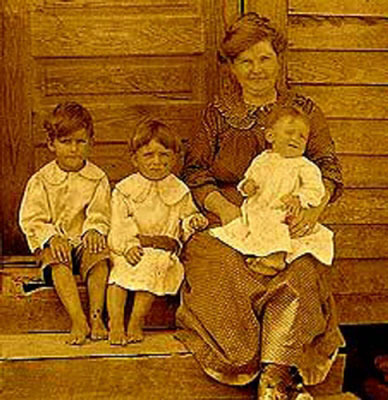 Births: Mary A. Culpepper, 5 Sep 1861. Births: Cordelia A. Culpepper, 20 Feb 1863. Births: Charlie Culpepper, 15 Oct 1871. Births: Nancy Collins, 1 May 1816. Deaths: Ann Collins, 29 Apr 1860. E-mail written Sep 1998 to Lew Griffin from Ann Flowers, Mesquite, TX, e-mail address. Deaths: Levin Collins, 15 Apr 1855. Family of James Arthur DeLoach and Pheba Whittle DeLoach, James A. DeLoach Bible, Transcribed by Nettie Ruth Holt Conley, Ethel Holt Roddy, owner, (1962). Deaths: Mary F. Culpepper, 24 Jun 1897. 1840 Census 1 Jun 1840� Mariner was probably a free white male, age 10 and under 15, in Joel Culpepper of Harris Co., GA's household, on the 1840 Census on 1 Jun 1840 at Harris Co., Georgia. Marrener C. Culpepper and Elizabeth Middlebrooks on 29 Oct 1845 in Harris Co., GA.
Isaac E. Culpepper, 1, M, GA.
M. C. Culpepper, 3 slaves: 20F, 10F, 2M. N. M. Culpepper, 2/12, F, GA.
Cemens Culpepper, 10, F, GA.
E-mail written 2004-2006 to Warren L. Culpepper from Jean Middlebrooks Shroyer, Austin, TX, e-mail address. The Middlebrooks Register of 1909 by L.F. (Louis Franklin) Middlebrooks of Fairfield, CT lists [her] as a Sarah Elizabeth Middlebrooks... dau of Isaac and Elizabeth Thompson Middlebrook/s of Harris Co., GA.
Mehalie (Culpepper) Smith, Dau, F, Md, 20, Cotton Factory Hand, GA/GA/GA. Bertie L. Smith, Granddaughter, F, Oct 1888, 11, Sng, GA/GA/GA. William Culpepper and Mary E. Huff on 19 Nov 1866 in Harris Co., GA.
Marriages: William Culpepper and M. E. F. Huff, 25 Nov 1866. Martha Culpepper, 2, F, GA.
William E. Culpepper, Son, M, S, 10M, GA/GA/GA. J. H. Culpepper and Ella McGuirk on 08 Nov 1874 in Troup Co., GA.
Milton Connell, Other, M, S, Black, 23, Works On Farm, GA/GA/GA. James Benjamin Culpepper, 79-80 Ave D, Houston, Harris Co., Texas, age 37, born 25 Jan 1881, Caucasian, Foreman for Mid Canal Ship Co., Harrisburg, Harris Co., TX, Nearest relative: Della M. Culpepper, 79-80 Ave D, Houston, Harris Co., Texas, Tall height, Slender build, Blue eyes, Light hair, No disabilities. Registered 12 Sep 1917 at Houston, Harris Co., Texas. Sallie P. Culpepper, Daughter, F, Feb-1896, 4, S, TX GA GA.
Janice Ray Culpepper of Cartersville GA, compiler, e-mail address, Janice Ray Culpepper/Shepard web site, April 2001. Raddie Johnson, Sister, F, 81, Wid, GA/SC/GA. Eleanor A. “Ellen” Gresham (02 Aug 1844-aft 1920). 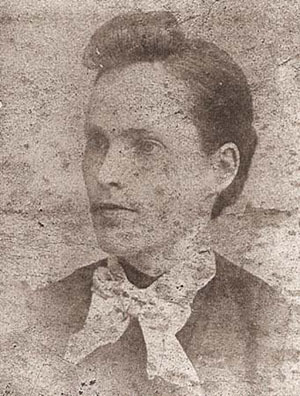 Ellen, of Chambers County, Alabama, was first married to my great grandfather, James Lawrence Prather (29 May 1842-15 Dec 1892) on 07 Sep 1865. 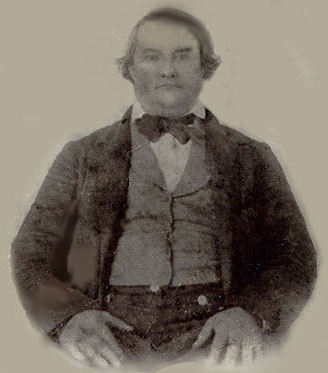 After surviving the Civil War as a Confederate cavalryman, James Lawrence Prather died in Chambers County, AL after having been bitten by a rabid dog. Ellen survived on a Confederate widow’s pension. The records of her pension stop in 1915. There is a record of an Ellen Prather marrying E. G. Culpepper on 01 Apr 1915 in Opelika, Lee County, Alabama.... I believe this to be my great grandmother. As indicated on your site, U. S. Census records for 1920 show E. G. and Ellen Culpeper residing in an Alms House in Opelika. Both were listed as invalids. Early G. Culpepper and Sylvania Pickren on 18 Sep 1887 in Muscogee Co., GA, Bk J-212. (This was probably the date and place of the marriage license). James Culpepper, Brother, M, S, 21, Farm Hand, GA/GA/GA. 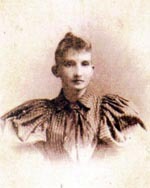 Katie Pickren, Step-Dau, Wh, F, Oct 1877, 22, sng, AL/GA/GA, Weaver/Cottonmill. D W Rudolph, Boarder, M, Wh, 50, wid, GA/GA/GA, Cotton Mill. Ellen Culpeper, Wife, F, Wh, 74, md, AL/AL/AL, Invalid. E-mail written Aug 2015 - Dec 2015 to Lew Griffin from Jim Mittica. Bethany Baptist Church Cemetery, Pine Mountain, Harris Co., GA. Plaque: "Sarah Jane Culpepper Lankford and two small sons, James W. and John Henry Lankford died on April 15, 1884, in a tornado." Sam Culpepper, Other, M, S, 21, Works At Saw Mill, GA/---/---. Samuel B. Culpepper and Ella Phillips on 31 Dec 1882 in Troup Co., GA.
Edward E. Culpepper, Son, W, M, Oct 1894, 5, M, AL/GA/GA. + James Lawrence Culpepper, 3 Aug 1885 – 19 Jan 1961. James Lawrence Culpepper, Mt. Creek, Geneva Co., AL, Age 33, born 3 Aug 1885, White, Farmer, Nearest relative: Mrs. J. L. Culpepper of Mt. Creek, Medium Height, Medium Build, Brown Eyes, Dark Sandy Hair, Registered 12 Sep 1918 at Prattville, AL. + E. Clarence Culpepper, 13 Oct 1894 – 13 Sep 1929. 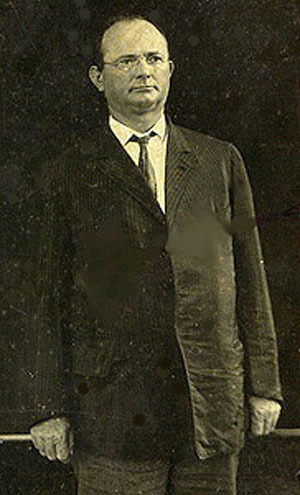 Samuel B. Culpepper performed seven marriages in Coosa County during 1896-1898. Caspar L. Culpepper died 27 Mar 1910 in Chilton Co., Alabama. Lena Culpepper, Daughter, Wh, F, 9, sng, AL/GA/GA. (James immigrated in 1869 and naturalized in 1892). Edward C. Culpepper died Sep 1929 in Autauga Co., Alabama. Samuel D. Culpepper died 15 Oct 1941 in Chilton Co., Alabama. S. B. Culpepper died 15 Oct 1941. E-mail written 2004 to Lew Griffin from Brock Lee Culpepper, e-mail address. Sammie L. Culpepper, Dau, F, Jun 1898, 1, Sng, GA/GA/GA. James F. Culpepper, born 1906, White, Native of Alabama; Resided in Hawaii; Enlisted on 17 Sep 1943 in Ohio at Cleveland in the US Army for the duration of the War plus six months; Education: 4 years of high school; Marital Status: Married. Thomas F Culppeper, Son, M, Wh, 1 10/12, sng, AL/GA/AL. Mary A. Culpepper and Joseph S. Ledbetter on 18 Sep 1878 in Troup Co., GA.
My grandmother, Cordelia Ann Culpepper Koone is buried at Bethany Baptist Church in Pine Mountain, Ga. She married James Franklin Koone on Dec. 24, 1885 in Harris County, Ga. They were the parents of my father Alvis Lloyd Koone (Kuhn). I have a copy of a marriage license of my father's first marriage. It has him listed as Alvis Lloyd Koone of Columbus, Ga married to Beatrice Thomas. I do not have a record of my father's marriage to Sybil Aleene Dison, my mother. Sometime after his marriage with Beatrice and the time he married my mother he changed the spelling of his name from Koone to Kuhn. James Franklin Koone was born in 1865 and died on Apr. 10, 1937. His father was Marion Koone was born in 1837 in South Carolina and died on Apr. 05, 1910. Marion's father was George William Koon Jr. was born in Mar. 17, 1802 and died on July 11, 1881. George married Nancy Abney. Nancy was born in Jun. 18, 1802 and died on Aug. 21, 1881. "Aunt Delia" was what the Thompson girls called her. Molly Ledbetter and daughter, Dora, lived with sister "Delia" after the death of Molly's husband. One son died in Columbus, but I don't know which one. Cordelia Culpepper Koone and her family are buried in the new section of Bethany Baptist Cemetery, Pine Mountain, Harris County, Georgia. Ernest Koone, her son, told me he had new headstones erected for them. Deaths: Cordelia A. Koon, 29 Jun 1902. E-mail written 23 Jun 2006 to Warren Culpepper from #54634) Samantha Jane Koone White (granddaughter of Ernest Koone, Harris Co., GA, e-mail address. Frank Culpepper, Boarder, M, Jun-1870, 29, S, GA GA SC, Farm Laborer. Polk's Houston City Directories: "Francis Culpepper, c 1 block e of Clark, 1/4 mile n of city limits, Houston, 1894-1895." "F. M. Culpepper, US Volunteers, Spanish-American War, 1898, 401-226." F. M. Culpepper, Head, M, 44, S, GA GA GA, Keeper-Wagon Yard. Frank Culpepper, Boarder, M, Jan?-Jun-1870, 29, S, GA GA SC, Farm Laborer. Frank Culpepper, Patient, M, 64, S, Ga US US, Carpenter. Frank Culpepper, Kaufman Co., Apr 7 1935, 19631. A. Culpepper and M. J. Holliday on 16 Sep 1888 in Troup Co., GA.
Charles Culpepper, Son, M, Wh, 1, sng, AL/GA/AL. Abner Culpepper, Boarder, M, Wh, 51, md, GA/GA/GA, Watchman/Oil Co.
Claude W. Culpepper, Grandson, M, Wh, 3 6/12, sng, AL/AL/AL. Abner Culpepper died 15 Mar 1945 in Jefferson Co., Alabama. G. W. Culpepper and A. W. Little, 21 Mar 1897, Parker Co., TX. Hugh B. Little, Brother-in-Law M, Sep-1835, 64, S, TN TN TN, Farm Laborer. Barney L. Culpepper, M, 10 Apr 1902, Texas, 18 Jun 1956, 54Yrs, Mother's maiden name: Little. Bessie Marie Culpepper, 12 Mar 1928 - 1 Feb 1991, Wife of George W. Culpepper (Airman 2nd Class in the US Air Force), Interred 5 Feb 1991 in Riverside National Cemetery, Section 28, Site 563. George W. Culpepper, 1 Sep 1913, M, Mother's maiden name: Little. George W. Culpepper, M, 1 Sep 1913, California, 20 Apr 1975, 61Yrs, Maiden-Unk. ED 313, sheet 20, line 13. California Deaths 1930 - 1939, LDS Film 1686048. E-mail written 1999 to Lew Griffin from Justin Culpepper Christie, e-mail address. Belah Alton Culpepper, Howard College, Birmingham, AL, Age 19, born 8 Jan 1899, Caucasian, Student at Howard College; Nearest relative: C. T. Culpepper of Headland, Henry Co., AL; Medium Height, Slender Build, Gray Eyes, Light Brown Hair; No Disabilities. Signed 12 Sep 1918 in Abbeville, Henry Co., AL. Cary D. Culpepper, Son, M, Wh, 1/12, sng, AL/GA/AL. Oscar Hunter Stephens and Katie Mae Finn on 7 Feb 1915." Casey Culpepper, Son, M, Wh, 9, sng, AL/GA/AL. Minnie V. Culpepper, Wife, F, Wh, 58, md@23, AL/AL/AL. The Heritage of Elmore County, Alabama, Clanton, Alabama: Walsworth Pub. Co., 2002, Page 571. Henry H. Culpepper, Feb. 13, 1898 - Apr. 15, 1951; Burial: Riverdale Cemetery, Columbus, Muscogee County, Georgia, USA, Plot: Plot 84 Sec. 14; Find A Grave Memorial# 18113989. Obituary of Henry H. Culpepper (#4969), published 16 Apr 1951. Henry Culpepper, Boarder, M, 47, Div, GA/GA/GA, Operator/Cotton Mill. 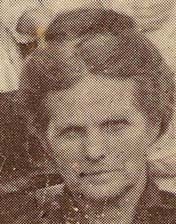 H. H. Culpepper, d. 15 Sep 1928 in Muscogee Co., GA.
Martha D Culpepper, Dau, Wh, F, Apr 1899, 1, sng, AL/GA/AL. ED 43, sheet 1, line 85. Jesse M. Culpepper, d. 10 Dec 1949 at 74 years in Troup Co., GA; Res. in Alabama. Mary B. Culpepper, Dau, F, Mar 1889, 11, S, GA/GA/GA.